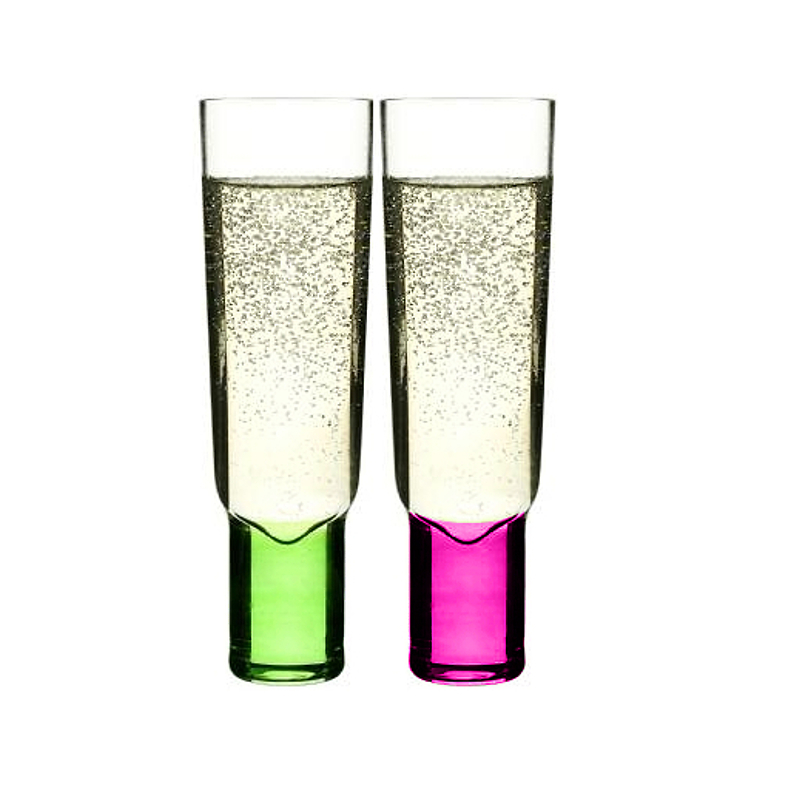 Sip champagne en vogue with these two champagne glasses from the Sagaform club collection. Designed by Matz Borgstrom, a renowned Swedish designer, these hand blown glasses feature a heavy weighted base so they won't tip over easily. Included are purple and green colors that are perfect for both everyday and special occasions alike. The upper portion of the glasses remain transparent, so it is easy to tell what the glass contains. Matz Borgstrom - As a DJ I have played in and run clubs in Stockholm since being a teenager, which has given me a huge insight into the bar as an everyday phenomenon. As a designer I have a wealth of experience in developing glassware. And with this experience behind me I have designed the club line for the discerning drinker who knows that the function of an item is at least as important as the right design. club will appeal to the connoisseur and enthusiastic beginner alike. club offers style, happiness and high quality all in one package. Enjoy!